What you are is what you eat - and everyone wants to be healthy and look their best. Gordon Ramsay - super-fit chef, marathon runner and high-energy television presenter - is a great advertisement for eating well and staying in the peak of good health. In this book, he has put together over 100 dishes that are completely in tune with the way we want to eat today - packed with fresh ingredients cooked in the most healthy way to achieve maximum flavour. 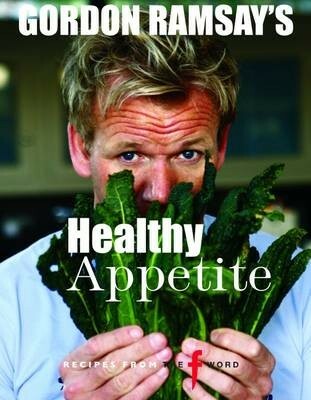 Geared around our daily lives, Gordon gives ideas and recipes for healthy breakfasts, lunches, barbecues, suppers, desserts, kids and entertaining, demonstrates healthy cooking methods that guarantee optimum flavour, and tells us which are his own favourite healthy ingredients. The recipes include Mango and Smoked Chicken Salad, Griddled Squid with Roasted Peppers and Cannellini Beans, Wild Mushroom Risotto with Baked Courgettes and Roasted Peaches with Vanilla and Spices. With its fresh, colourful photographs and clean modern design, this bestselling cookery book is a must have for anyone interested in healthy cooking.